When charcoal is applied as a jelly poultice, its ability to draw out toxins from the body depends a great deal on the charcoal maintaining a wet contact with the the skin.Whole flax seed, when boiled in water, produces a wet jelly like material that works well for making a charcoal poultice. Flax seed may also be ground into a meal and mixed with hot water and charcoal powder to produce a charcoal jelly without boiling. 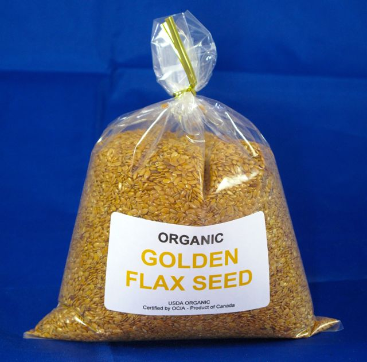 Besides helping to keep the charcoal poultice moist, flax seed also has its own healing benefits. Charcoal Jelly Poultice Recipe (below) is on the back of every flax seed bag. Add charcoal to water and mix. Add 2 Tablespoons of ground flax seed. Gradually add remaining flax seed until you get a nice gooey consistency. You want it moist, like a wet glue, but not watery and not stiff. Take a 12 x 12 inch paper towel and lay flat on the counter. If your charcoal mixture is the correct consistency, you should be able to pour the mixture out and then scrape out the rest. Spread in the middle of the paper towel about a three inch swath, leaving at least an inch on both sides. Fold the north side down, then east and west and then the south, so as to make a bandage/poultice. Place the poultice with only one layer of paper onto the needed area. Now cover the poultice with plastic cut from a bread or shopping bag, or a food wrap. The plastic should just cover the poultice on each side by an inch. This will help keep the charcoal poultice moist and also from leaking out. You can now cover with cloth that you have cut in a long strip and safety pin it to stay on, or you can use a bandage wrap such as you would use to wrap a sprain. This works very well and is something that you can easily go out in the public with. Change the poultice at least every eight hours.